Mini buyers take a favourable view on customisation. 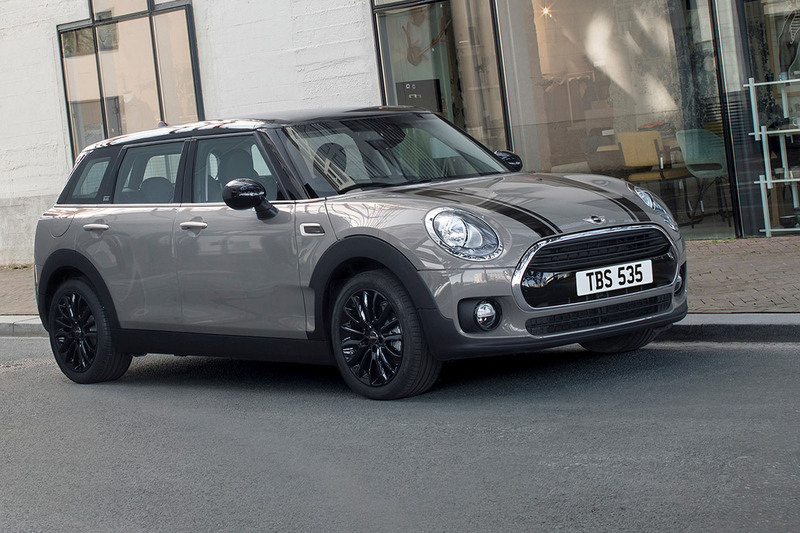 Every eight in 10 Mini Clubmans are specced with the optional Chili Pack added – highlights of which include 17in alloys and interior mood lighting – and the success of that optional package has lead to the creation of the Black Pack. 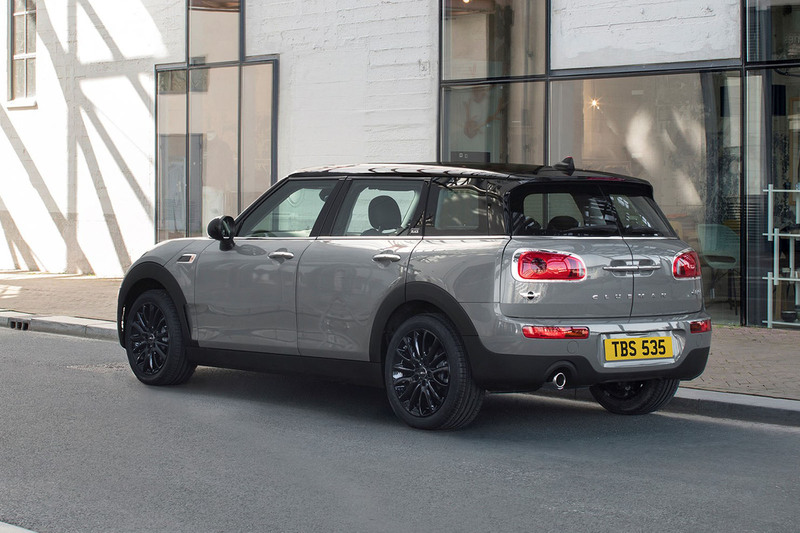 Initially only available in the Clubman estate, it can be ticked on the options list of the entry-level Cooper and Cooper D models. It adds black 17in wheels, black bonnet stripes and a piano black trim inside. Those options have been available before, but opting for them as part of the new pack costs £700 rather than £900. That brings the price up to £21,430 in total for this Clubman, which gets sat-nav, cruise control, air conditioning and a turbocharged 1.5-litre engine with a six-speed manual gearbox as standard. 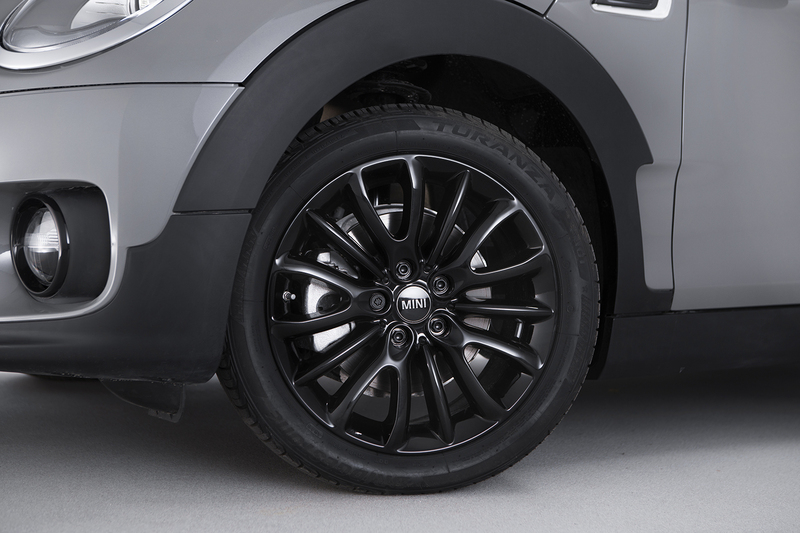 Mini’s stance is to sell as many as is demanded – it expects one in every 10 Clubmans to be chosen with the Black Pack. Apart from the slight air of exclusivity that the mild cosmetic flourishes add, the Black Pack-equipped Clubman is no different from the standard model. That means it remains one of the better family cars to drive, with nicely weighted steering that is crisp and accurate, and a positive six-speed manual gearbox that we favour over the automatic. The Clubman is more agile than you’d guess from its faux-estate looks, and while it is more docile than smaller Minis, it can still easily be considered fun when judged with the family car barometer. It does suffer from a firm ride though. Much has been done to improve the overall ride quality over the previous-generation model, with a longer wheelbase and slightly more supple springing, but it still feels brittle over rough surfaces. While the trade-off for a fun drive will be good enough for many, high-mileage Clubman drivers could find it tiresome. The engine is nice and nippy for urban jaunts and takes journeys farther afield easily in its stride. The power delivery is smooth and builds in a predictable manner, but it does sound quite rough at the top end. Refinement generally is quite poor, with lots of road roar inside especially. Noise aside, the interior is nice and the glossy piano finish in the Black Pack model adds to the allure, but it doesn't quite have the supreme build quality and immaculate finish of the Audi A3 Sportback or a BMW 1 Series. It's spacious inside, with plenty of room for passengers and a boot that matches conventional family cars. However, while the split boot doors look cool, they do impede on the view out of the rear. It’s largely down to your fashion preference. If you’re looking at the Clubman, and plump for a sweet-spot Cooper edition, then an extra £700 for some added exclusivity and customisation may seem a good deal to you. In a wider perspective though, there are superior family cars out there. The A3 Sportback and 1 Series are both even better to drive, and their interiors have a more polished, high-end feel. The Clubman does have everything else in the class beaten for character, though, so it depends what you value more highly. Who thinks the Mini needs a head to Toe,a Bonnet to Boot refresh?,it is underpowered,why no 250bhp+,Ford is kicking it's derrière with the FocusRS and the Hot Fiesta,plus it is expensive,nobody buys a bogo straight out of the box just of the line Mini,that's when the wallet goes ouch!!!!! WTF are you on about? A course on keyboard skills wouldn't go amiss either. And the point of reviewing this is?nothing new here at all it's just a trawl through the Mini options list.Not really worth the accolade of a review,surely there's more worthy subjects for our attention than this. The Mini gets uglier with each iteration.